Children of Blood and Bone follows the tradition of using fantasy as a way to bring light to pressing social issues in our culture. It is an adventure story in which a woman is discovering her magical abilities and the people in her community are looking to her for leadership to rise against the oppressive monarchy. In the world of the book, magic comes from a mystical connection to ancestors, and incantations are used as a way to connect with the people from the users’ cultural heritage—but magic was taken away from this entire culture as a way for the king to punish for the violence of a few. The heroine, Zélie, seems to grow in her self-confidence as she learns more about her magical abilities, but one of the downsides that she learns about magic is its ability to kill people. I did not have to dig very deep at all to find the parallels that exist within our own culture in strained relationships between white and black people. Magic serving as a connection to ancestors and being taken away brought to mind the history of how African slaves were brought to America, stripped of their land, their people, and their heritage. The people of the book being stripped of magic is them being stripped of that same important connection. It was no surprise to find that author Tomi Adeyemi ends her book with a note explicitly saying that it is her response to the police brutality against African Americans that she has been hearing about in the news. She states, “Children of Blood and Bone was written during a time where I kept turning on the news and seeing stories of unarmed black men, women and children being shot by the police. I felt afraid and angry and helpless, but this book was the one thing that made me feel like I could do something about it.” She then lists the names of people who have been killed, including Philando Castile, a local fatal victim of police brutality. This note reads like an elegy for the lives that have been lost, which makes Adeyemi’s plea to action seem even more pressing and urgent. I appreciate that she does not shy away from openly saying that this novel is her activism in a world where racial tensions are high—I am a huge fan of using literature as a form of activism because nothing can bring me deeper into another person’s shoes than immersing myself in reading a book. This plea makes me think critically about my own white privilege. I have always perceived police to be looking out for my safety, and the police that I have met are pleasant and friendly to me; I have never had to worry that police may not be on my side simply because of the way I look. Adeyemi’s simple listing of the people killed brought tears to my eyes and made me aware of the privilege that I live with as a white woman. It made me feel painfully aware that I have done very little to make sure that everybody enjoys the same privileges that I do. Adeyemi is very effective in creating this story as a response to this violence. The risk with a story fueled by an agenda is that it can read more like a platform than a story, but she never preaches—she simply weaves a story about people who do not want to remain oppressed. I found Zélie’s character intriguing as the book chronicles her journey, from a resistance to magic to her embracing it as a source of power when her people look to her for leadership. I also found that the conclusion provided a sense of finality to the story arc that I would love to see more writers of fantasy series emulate. As a fan of fantasy literature, loving the first book is what ultimately sells the next book in a series for me. 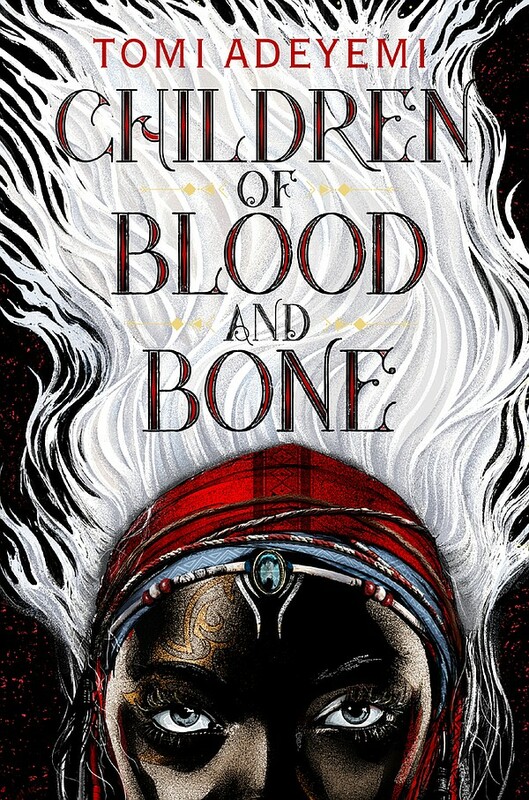 I will definitely preorder the sequel to Children of Blood and Bone when I am able to because I think Adeyemi’s writing is gorgeous, and I cannot wait to see where she takes this story next.